In the 1970s, Amos Perlmutter published his masterful study, Egypt: The Praetorian State. Perlmutter traced the formation of a functionary state in which the military becomes the core and dominant institution in society. The military forms the ruling caste, intermingling and penetrating civil society and the state apparatus, but always remains superior to it, above accountability or control. Moreover, the military becomes the controlling and supreme player in all affairs of the state including foreign policy, investment and commercial policies, social security and even in the very definition of the rule of law and the limits of legality. Ultimately, the entire apparatus and structure of the state enters into a relationship of patronage and clientage in which society exists to sustain and maintain the military, instead of the other way around. Some 40 years later, Yezid Sayigh published a Carnegie Papers study that demonstrates that the military in Egypt not only continues to be the ruling and supreme caste, but also that the military's economic and financial interests have penetrated deeply into every aspect of the political and social apparatus. More than ever before, the military has become the main employer, a dominant shareholder and an owner of an enormous network of investments in everything ranging from the tourism industry, to Egypt Air, to construction companies, and so on. But the system of patronage and clientage goes even further in that. As any business investor knows, if you want to do good business in Egypt you have to agree to appointing a number of retired army officers to executive positions at a very lucrative rate. At the same time that the military looks at civil society as inferior and incompetent, the military itself has its own complicated system of corrupt patronage and kickbacks. By passing a complex body of laws that guard the military from any accountability or oversight, all of their corruption is legalized. Sayigh calls this system "the Officers' Republic." Those who want to understand the reasons for the coup in Egypt and for the shocking massacres and human rights violations that followed should study the military, not simply as an important institution in Egypt, but as the controlling institution in Egypt. 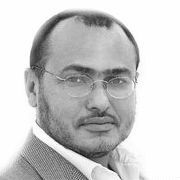 Those who are still trying to understand the coup and figure out whether the military will allow for the rise of a democratic system in Egypt with a solid foundation in the rule of law and human rights values, should look at who supported this coup and what interests they are trying to protect. The Brotherhood tried, in a rather naive and opportunistic fashion, to negotiate with the military by allowing the military a great deal of constitutional autonomy, and in exchange, hoped that the military would return the favour. So, what do we know about the coup and the circumstances surrounding it? We know that Abdel Fattah El Sisi was an American-trained officer with friendly ties in the Pentagon. Eventually, it was widely reported that he and United States Secretary of Defence Chuck Hagel got along quite well. The New York Times reported that El Sisi has enjoyed close ties with the Israelis from the time he served as the head of military intelligence, and that El Sisi and his colleagues cleared the coup with the Israelis and obtained their support before the coup was executed. In fact, when Senator Rand Paul, a Republican from Kentucky, proposed a bill halting aid to Egypt because of the coup, the American Israel Public Affairs Committee (AIPAC) sent a letter dated 31 July 2013, opposing such a measure. Ultimately, the bill was defeated 86 to 13 on the same day. Prince Bandar bin Sultan played a major, although not yet fully known, role in setting up the coup. He flew to the capitals of several Western countries weeks before the coup, urging them to support a takeover by the military. Other than the well-known aid package to Egypt of $5 billion weeks after the coup, King Abdullah made an unusually blunt public statement in which he called upon all Muslims to support the Egyptian army in its heroic fight against the terrorism of the Muslim Brotherhood. The United Arab Emirates, Kuwait and Saudi Arabia pledged money that far exceeds the aid Egypt receives from the United States and the European Union combined, in the event that the United States and the European Union might attempt to punish the Egyptian army by cutting off aid. The Israelis and the UAE repeatedly assured El Sisi that, regardless of how tough John Kerry or John McCain might sound, when all was said and done they would not cut off aid, and even if they did, the UAE, Kuwait and Saudi Arabia would more than cover it. Meanwhile, Abdullah bin Zayed al-Nahyan, the UAE Foreign Minister, intervened on behalf of El Sisi urging the United States not to cut off aid, even after the toll of those killed and arrested kept rising. What brings all of these parties together? Was it just a knee jerk reaction to the Muslim Brotherhood? Not quite. The Brotherhood did try to tread carefully and accommodate the military in a number of ways. However, it is the trail of money that provides the best evidence. The Brotherhood tried to enter into several business relationships that would have challenged the economic interests of the military, and even attempted numerous under-the-table corrupt deals with investors from Saudi Arabia, Kuwait and the UAE, as well as some other Gulf countries. The Brotherhood succeeded in entering into agreements with Turkey, China and India. This caused the anger among the ranks of the wealthy generals to begin exploding like fireworks, to the point that the military showed up on numerous television channels denouncing, and even demonizing, these deals as disastrous. The reasons given were not just unconvincing, but bordered on the neurotic. El Sisi himself spoke frankly about the role that these deals played in his coup decision. In November 2012, he tried to get President Mohamed Morsi to understand by giving him the military's strategic outlook, which incidentally focused heavily on maintaining the ongoing commercial ties with Saudi Arabia, the UAE and Kuwait, while steering away from Turkey and Iran, and approaching China only after getting the consent of the United States to any substantial investment. When Morsi did not give El Sisi the response he hoped for, by El Sisi's own admission, the military stopped talking to the elected president in March of 2013. According to El Sisi, he realized that the problem needed a solution of a different kind. As a law professor, my own experiences in Egypt have been painfully sobering. Serving as a legal expert witness, I have worked on many cases that constituted an indelible schooling in the ignoble relationship between Gulf money and capital controlled by the military. Such transactions would usually involve exchanging huge sums of Gulf money in return for disproportionately massive and often monopolistic financial advantages for the Gulf-investor. This would most often involve a well-oiled and intricately established process of bribes, pay-offs, kickbacks and other unethical interactions, easily reaching into the hundreds of millions of dollars. Now the question I ask is: How can the military secure its handsome ownership in the Egyptian economy, which reaches 30 percent of the GNP, if it relinquishes power to a civilian authority? When an army becomes a huge matrix of deeply vested interests, privileges and fiefdoms, as has become of the Egyptian army, this military will do anything and everything to avoid war at all costs -- and this explains Israel's support of the coup, and also explains the hysteria displayed by officers when it is suggested that the decision to wage war should belong to the people and the people's elected representatives. But if it becomes part of the military's creed that it must preserve itself as a corporate being above and before all else, this will inevitably clash with any civilian government. Furthermore, this creates a great deal of pressure on the idle military to invent straw men it can easily knock down -- to invent a conspiracy behind each door that they must rise to meet. Finally, only the army and the security forces know how many people they have murdered, tortured, abducted, or dealt with without judicial proceedings. The Mansour government knows very well that trying civilians before military tribunals is a violation of international law, and it knows that bringing loose charges such as "incitement to violence," and then sentencing people to life after two hearings, is a gross denial of due process. Would the military really be willing to open itself to the possibility of a civilian government that would begin investigating their serious infractions and hold El Sisi and his group accountable for their crimes? This post originally appeared on the ABC Religion and Ethics website.